The seventh letter of the Hebrew alphabet is "Zayin". It has a numeric value of "7", and also represents a "sword" that is used to "cut up" time. 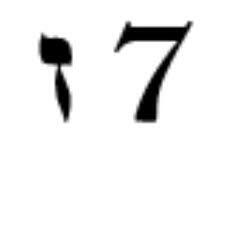 "The number seven has always been regarded in the Jewish tradition as the number of completion, wholeness, blessing, and rest."